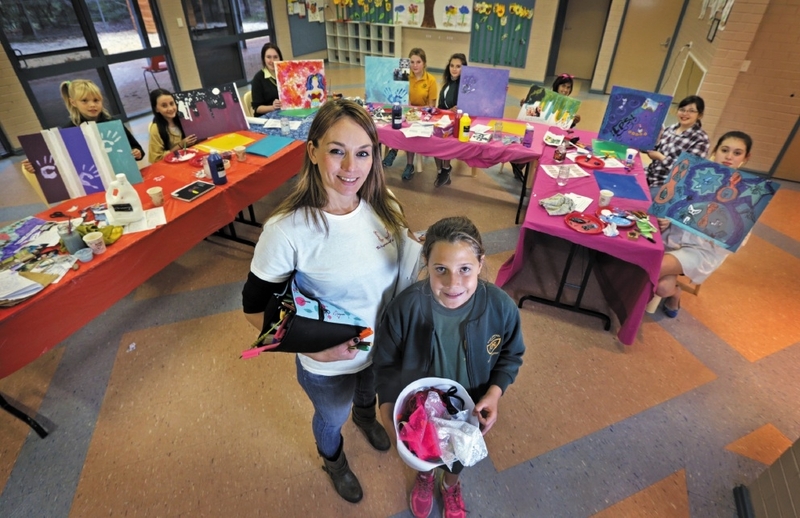 With a diploma in counselling and community service work, Ms Cheers wants her Art Club to be a safe place where girls can make friends and express themselves through art. �As a kid I filled my hours with arts and crafts, and as a teen this very process comforted me through many a bump in the road,� she said. The class caters for girls aged 10 to 15; the class is in its fifth week with 10 girls attending and more expected to join next term. Ms Cheers can already notice a huge difference in the girls. �In the first week they were all a bit shy, but each week I see them opening up a bit more,� she said. Parents of the girls also notice a difference in their behaviour; Anthea Borg said her daughter Caitlin has become more calm and thoughtful. �Since starting the lessons I have noticed a calm, thoughtful approach with gratitude in the way she approaches situations at home,� she said. Art Club is outcome based and follows a structured plan for attendees to achieve identity, self worth, emotions, purpose and perception. Ms Cheers said the outcomes and projects are to remind the girls who they are and get them to think about what they are grateful for. The girls spend 75 per cent of the session creating a piece of work, during this time they can make friends and have group conversations. The remaining 25 per cent is for class discussions. For more information on Ms Cheers and her Art Club, visit www.theinspirational studio.com.